According to Peers’ History and Guide to Sutton Park, a Penny Guide published in 1868, “Just opened - a very important attraction to the visitors of Sutton is the establishment of the Royal Promenade Gardens, by Mr. Job Cole of the Aston Lane Nurseries, Birchfields”. 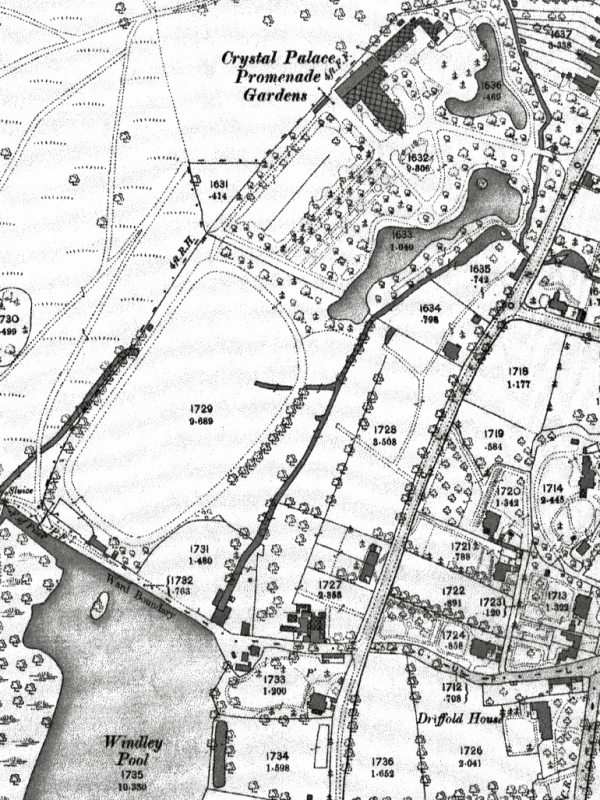 Cole had noted the great numbers flocking to Sutton Park after the opening of the railway branch line in 1862, and it must have occurred to him that many of these visitors would enjoy wandering round more formal pleasure grounds as well as the park. He laid out his grounds on a 10-acre site between Clifton Road and the Park, at a time when neither Manor Road nor that part of Clifton Road existed, so the first visitors accessed the gardens via Sutton Park. Features of the gardens included a fernery sheltered by rhododendrons and azaleas, two acres of rhododendrons, a rose garden, a bowling green, cricket, archery and croquet grounds, and an extensive sheet of water. There was a spacious conservatory for floral displays, and “buildings for the enjoyment of creature comforts” - these must have included the “Manor Inn”, where, according to the 1871 census, two servants were in residence. The land had previously been meadows belonging to the Manor House Farm, and Cole had acquired it on a 100-year lease from the Somerville Estate; the 1871 rate book lists it as “House, Promenade Gardens, twelve acres, rateable value £116/13/4d.” and shows that Cole also had the neighbouring nine-acre meadow. The gardens were a great attraction, and Job Cole prospered, moving from Perry Barr to Sutton Coldfield in a new house on Manor Hill with his second wife. In 1879 a Crystal Palace was built, capable of sheltering 1500 persons, with refreshment rooms and even hotel apartments. The 1881 census shows Frederick and Harriet Taylor, Hotel Managers, living there with a barmaid, cook and cellarman, but no hotel guests. Cole had gone public, the owners in 1881 being the Crystal Palace Company, with twenty-six acres of land and a rateable value of £350. The company also rented Windley Pool from the Somerville Estate. The Palace and gardens were managed by Mr. O.E.McGregor, proprietor of the Molyneux House and Pleasure Grounds at Wolverhampton, who offered “cheap excursions during the Summer months by London and North-Western and Midland Railway Companies. Charge by rail, including admission to the Gardens, Palace and Park, one shilling.” (The Midland Railway’s Sutton Park Station opened in 1879). A guide to Sutton Park by Eleizer Edwards published in 1880 enthuses about the Crystal Palace and grounds for several pages, mentioning a “splendid bicycle track half a mile in circuit”. This had been laid out a few years previously on the nine-acre meadow when cycling had become a popular pastime with men about town - if the penny-farthing bicycle encountered a pothole, the rider was likely to be pitched over the handlebars, so a purpose-built smooth track proved ideal. Many other attractions would be added in the next decades. 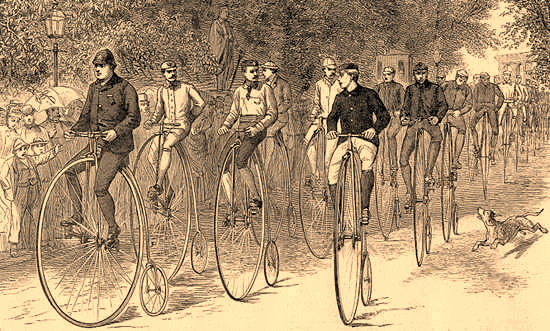 Going for a cycle ride in the 1870s.